Let’s be honest about something. Nobody loves visiting the dentist. That doesn’t mean some people don’t like their dentist or mind getting their teeth cleaned, but nobody really gets excited about it, especially if they need any kind of reconstructive work done. Even with dental technology improving quickly, getting a filling or a root canal is the pits. Getting a tooth pulled is even worse. So how do you stay out of the dental chair? Is there a way you can insure you never need to visit the dentist again? The short answer is no. You still need to visit the dentist the same way you need to visit your doctor to check your blood pressure. Catching problems before they get serious and professionally cleaning your teeth every 6 months are the best ways to insure great dental health through your entire life. You only get one set of adult teeth, so take care of them, and find the right dentist for you to make that happen. But you can take steps at home to all but ensure you won’t be getting any more cavities anytime soon. You can avoid that root canal, or getting any teeth pulled by taking into account our tips for at-home dental care. This is everything you need to know about taking care of your teeth at home. Follow our guide, and maybe just maybe you’ll arrive at your next dentist appointment with a smile on your way in, as well as your way out. Do you chew your nails, a pen or even sugary gum when nervous? Do you suffer from Bruxism; grinding your teeth or clenching your jaw when stressed? These are all common conditions we notice at 123 Dentist clinics, and our dentists will work with you to treat each of these issues. At home, try flavoured nail polish to deter nail biters in your family. Always chew sugar free gum like Trident Xtra Care Gum, which carries the Canadian Dental Association’s seal of approval. And consider a custom mouth guard when sleeping to help relax your jaw the next day. Talk to your doctor about quitting smoking and ask your dentist about it too. Curbing bad habits like these with simple aides can help preserve your teeth and if you have fillings already it can keep them from getting loose. It’s a tale as old as time in the dental community, but one of the best ways to avoid cavities and rotting teeth is watching what you consume, and your body will thank you as much as your mouth. 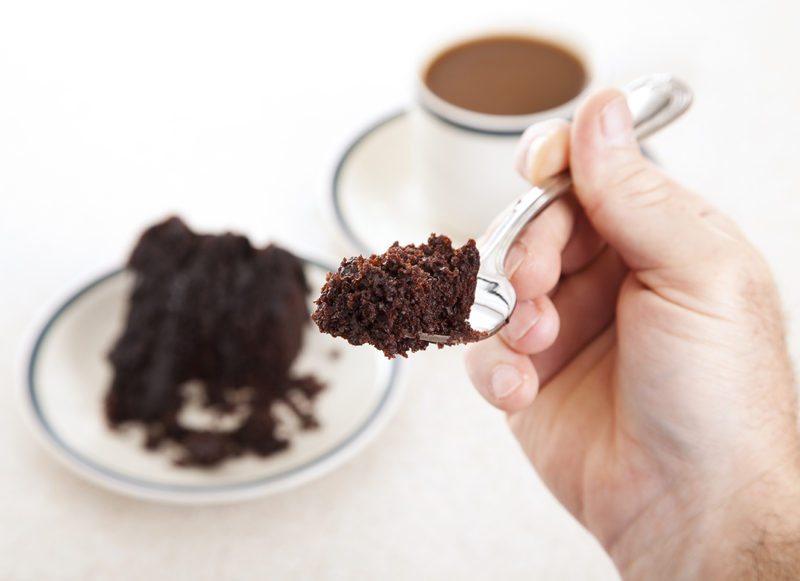 Limit your sugar intake, drink stain causing liquids like red wine, coffee and dark sodas from a straw. Eat more foods that support tooth health and consider a calcium supplement if you’re not getting enough. Some foods like oranges can even help kill germs in small amounts, but in larger amounts, citric acid can do harm. Whatever you eat, brush after every meal by packing a portable tooth brush to take to work. Only a couple minutes out of your day will save you hours at the dentist later on. 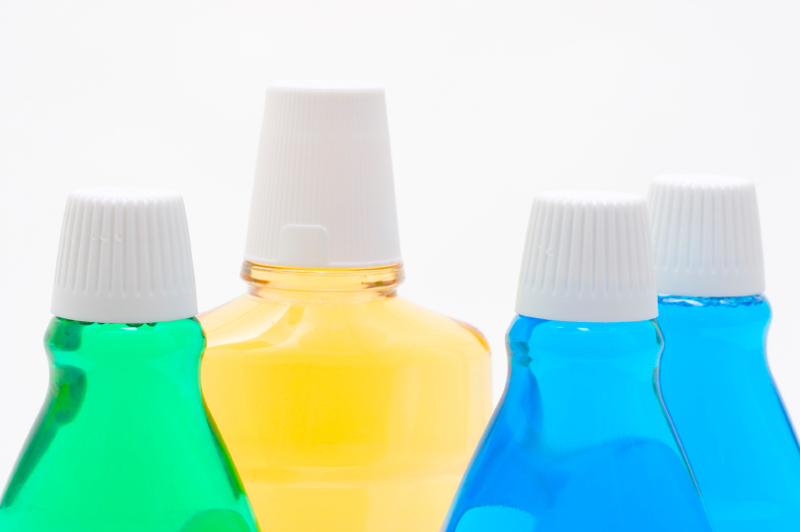 The first question a lot of patients ask our dentists about mouth wash is, does it work? The answer is a resounding yes, but only if it’s used properly. Over the counter mouth washes need to be used daily, and for the time recommended on the bottle. If the instructions say rinse for 60 seconds, 45 seconds isn’t enough. Studies have shown that patients can reduce plaque and gingivitis significantly by using over the counter rinses, but only if the directions are followed. The brand doesn’t matter as much, but you may need to sample a few before you find one that works for your mouth and taste. If the mouth wash you’re using is causing you irritation, switch to one without alcohol. 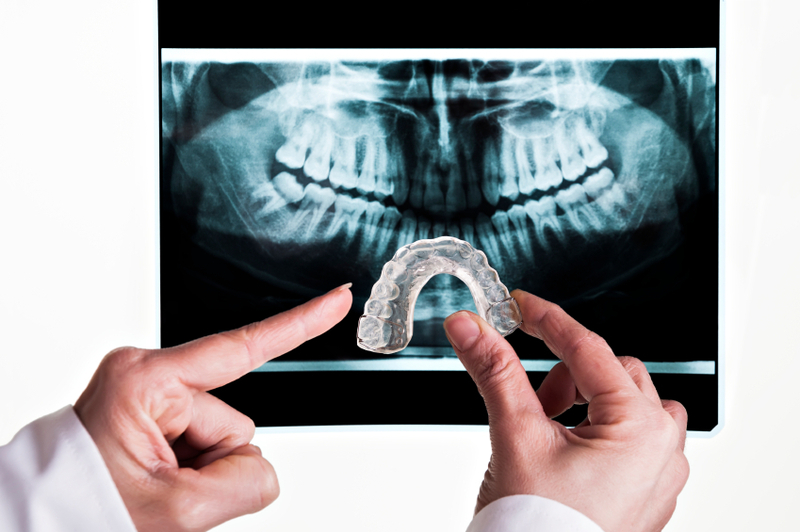 As mentioned above, custom mouth guards are a moulded from your teeth and fit into place. 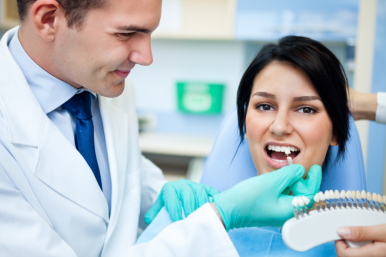 Our dentists will work with you to create a mould that addresses your needs and habits. At home, you don’t need to use soap or other cleaner on the plastic, just boil hot water to kill bacteria and then place the guard in your mouth. (Wait until it won’t burn your tongue.) Mouth guards will help you avoid clenching, grinding and straining your jaw while you sleep and they improve habits during the day too, over time. A custom mouth guard takes some getting used to, and it’s natural to wake up with it on the other side of the room, because your unconscious self isn’t used to it. Don’t worry though, a custom guard is made to last. You can purchase over the counter versions as well, but we recommend custom moulded versions, particularly for clenching and grinding. 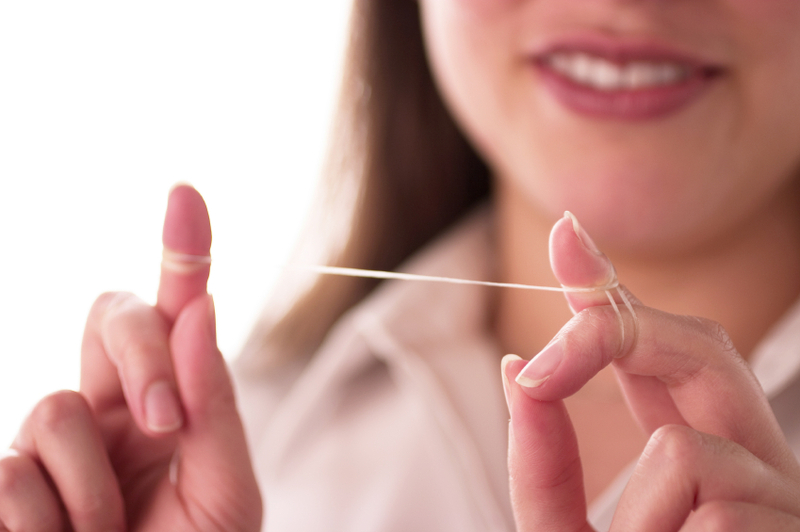 Flossing is possibly the most effective and under-utilized at-home dental care solution. A lot of people don’t floss because they don’t feel they have the time, because they find it frustrating or difficult and because they find floss breaking in their mouth. Talk to your 123 Dentist about flossing, and don’t be afraid to ask for instructions and help. Use stronger floss to avoid shredding and if your teeth are tight together, try flossing aids like floss picks or even a water pick system. Though not as effective as carefully flossing your teeth in the traditional way, aides are a great way to get used to flossing. Contrary to some information, we recommend flossing once per day, it’s not more effective to floss more than that and can be hard on your gums. Finally, if you find yourself with bleeding gums after flossing, it is often natural, but not all the time. A little blood after you’ve not flossed in a while is natural, but if you’re consistently bleeding after you floss it may be a sign of something more serious, like gum disease. See your dentist for more information. 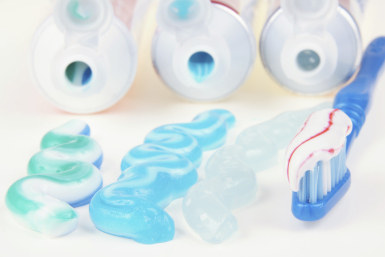 Another popular question we’re often asked is what kind of toothpaste and brand is best for healthy teeth? There are so many brands and one important qualifier is the Canadian Dental Association Seal of Approval. Aquafresh, Crest, Colgate and Sensodyne all have toothpaste approved by the CDA. Narrowing it down has a lot to do with your specific teeth and needs, from sensitive teeth to stained teeth or problems with cavities, choosing the right tooth paste comes down to you. For those with fairly healthy teeth, a well rounded tooth paste with a flavour you like is best and our dentists always recommend toothpaste with enamel support. If you need help choosing the best toothpaste for you, talk to your 123 Dentist today! These days we recommend electric tooth brushes as the best way to brush your teeth, but it’s not always possible to carry an electric tooth brush with you. Brushing at work after lunch or on vacation still requires manual brushing. So what kind of brush is best? Most of our dentists agree that a soft bristle brush with a small head is best. 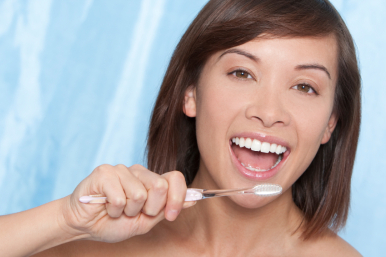 A smaller head allows better access to the back of your mouth and soft bristles aren’t as tough on your teeth. As for the handle and grip, choose whichever brush feels right for you. Replace your toothbrush as often as every 3 months, at most every 6 months when you visit the dentist for cleaning. Only two electric tooth brushes carry the seal of approval from the CDA. Oral-B Professional Care 5000 with Smart Guide Power Brush and Oral-B Professional Care Series 3000, both from Proctor and Gamble. We also like some models of the Philips Sonicare collection. It’s important to remember that while an electric toothbrush is more costly than a standard brush, it also lasts much, much longer. High quality brands offer more power, more rotations per second and do a better job cleaning. They also offer better warranties and are convenient for replacement. Oral-B for instance lets you replace the heads of the brush easily so other members of the same household can share the same brush and replacing heads every 6 months is easy. Storage options offer a neat, hygienic place to keep everyone else’s brush head and they are colour coded to avoid confusion. As mentioned above, diet matters. A bad diet, especially one that includes a lot of stain causing food and drink can cause yellow teeth. Surface whiteners like gum and tooth paste can help to reduce light surface stains, but they won’t help with deep stains like the ones caused by bad habits and diet. White Strips and other at home solutions involve bleaching the teeth themselves using peroxide-based bleaching. This technique is more effective, but it can also damage your teeth and is no replacement for a professional cleaning at the dentist. There are more expensive and effective bleaching kits available from your dentist, but you’ll need to be extra vigilant about stain causing foods, smoking and sensitivity. Keep in mind that while Health Canada requires all products sold to adhere to truthful advertising, some improvements shown are exaggerated by the manufacturer. An alternative to bleaching is laser-based whitening, available at many of our clinics. Just remember that no matter what you do at home, the most important part of good dental care is professional cleanings every 6 months. Your dentist can use tools that aren’t available to the average family and offer a level of cleaning you can’t get even from regular flossing. Regular cleanings help catch any other problems before they become painful and costly to repair. Many of our dentists offer promotions with regular check-ups and cleanings and the cost is far more manageable than fillings. Many families with dental insurance will find that it lapses at the end of the calendar year. Book your dental cleaning and exam early enough to find any existing cavities and take full advantage of your insurance before it resets in 2015.